Vincent Rambaud is Peugeot's third CEO in less than a year. Peugeot has appointed Vincent Rambaud as its new CEO. He takes over the brand on April 2. He will report to Jean-Marc Gales, who held the CEO job in addition to his role as board member in charge of the Peugeot and Citroen brands at parent PSA/Peugeot-Citroen. 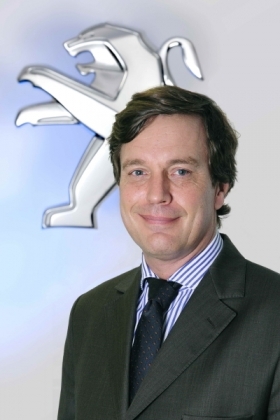 Gales succeeded Jean-Philippe Collin in June 2009, which means Rambaud is the third CEO at Peugeot in less than a year. Rambaud, 51, was previously director of PSA's Latin American unit. "Vincent Rambaud's international experience will be a strong factor in successfully meeting the challenge of Peugeot's globalization," Gales said in a statement. The challenge for Peugeot is to grow outside Europe, particularly in Russia, Latin America and China. In January, Gales said PSA wants to win 8 percent of the booming Chinese car market by 2016, up from a market share of 3.4 percent in 2009. Peugeot aims to increase its total sales in China by 30 percent this year, he added. Rambaud, a graduate of the Ecole Polytechnique and ENSTA, joined PSA in 2002. He worked at PSA's transportation and logistics subsidiary, Gefco, before taking charge of the automaker's Mercosur business unit in 2007. (Mercosur is a South American trade bloc, whose full members include Argentina, Brazil, Paraguay and Uruguay). Rambaud was named director of PSA's Latin American business last year.